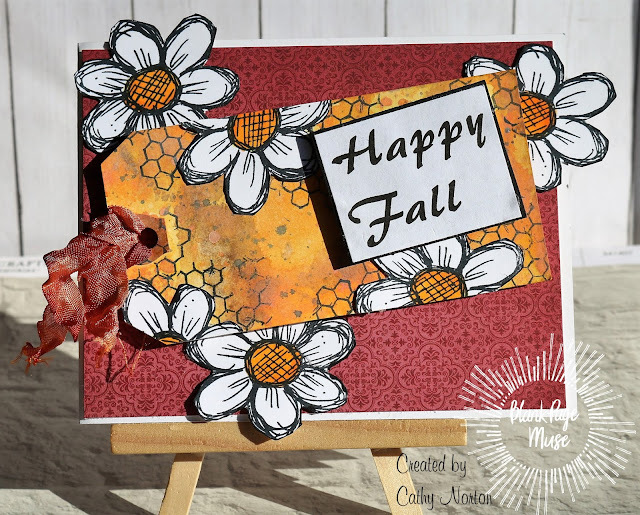 Cathy here with a great, fun Fall card. Start out by making your tag background. 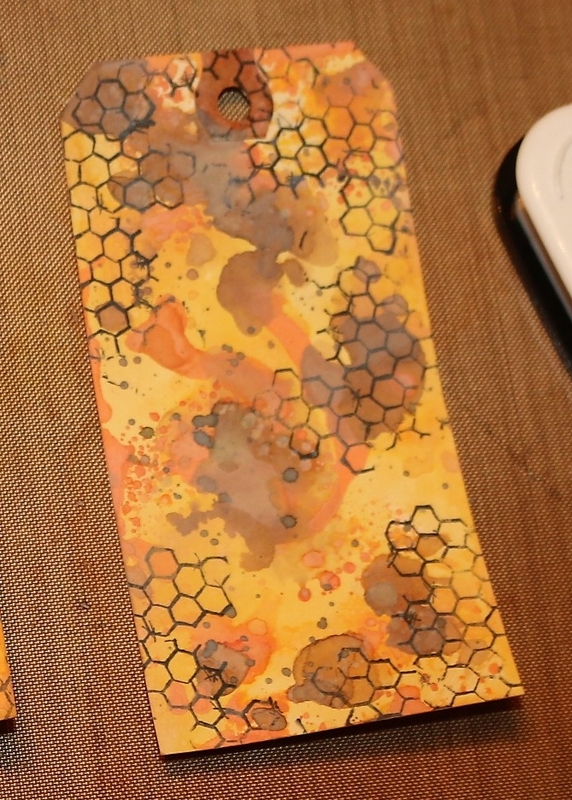 Use some Distress Oxide ink to make the background. Smooch some Fall like colors on the craft mat and add some water and then smooch the tag in it. Repeat till you are happy with the color of the tag. Take your ribbon and dye it to match the tag you just made. Set aside to dry. Stamp the Chicken Wire Mesh by Pam Bray randomly over the tag. 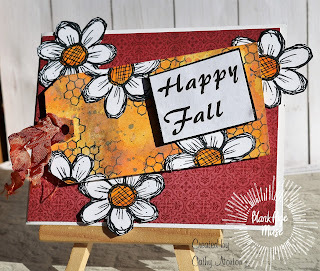 Stamp out Whimsical Doodle 5 pedal flower by Pam Bray. onto white cardstock. Cut out and color center with Copic markers or any makers or pencils you have. Add some of the Whimsical Doodle 5 pedal flower by Pam Bray to the tag. Cut some of the pattern paper for the background. 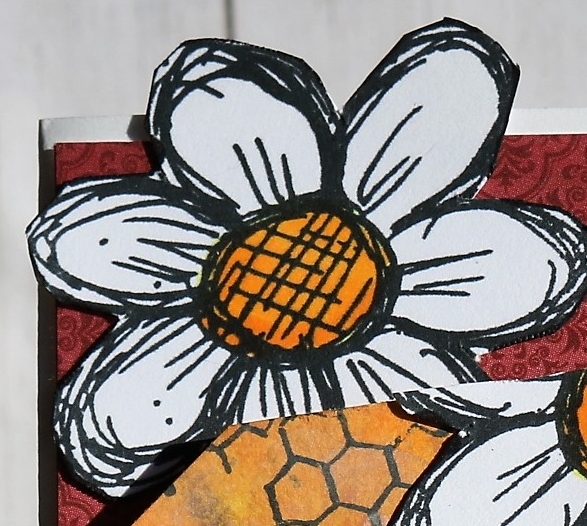 Cut out more Whimsical Doodle 5 pedal flower by Pam Bray and add it to the card. 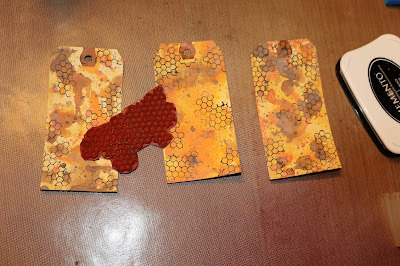 Attach the ribbon that you dyed earlier to the tag. 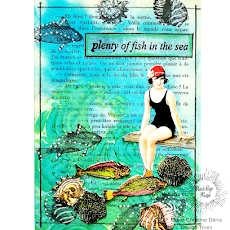 Gorgeous card - love how you have incorporated the tag onto it! !